Tracy Jill Marks, 54, of Cadiz, Ohio. On August 5, 2018 we lost Tracy to Pancreatic cancer after a year long brave battle. Per her wishes, she died in the loving arms of her husband Bill at home with her four-legged kids. Catholic in faith, she was preceded in death by her father Johnny Yanczura and just recently her mother Helen. 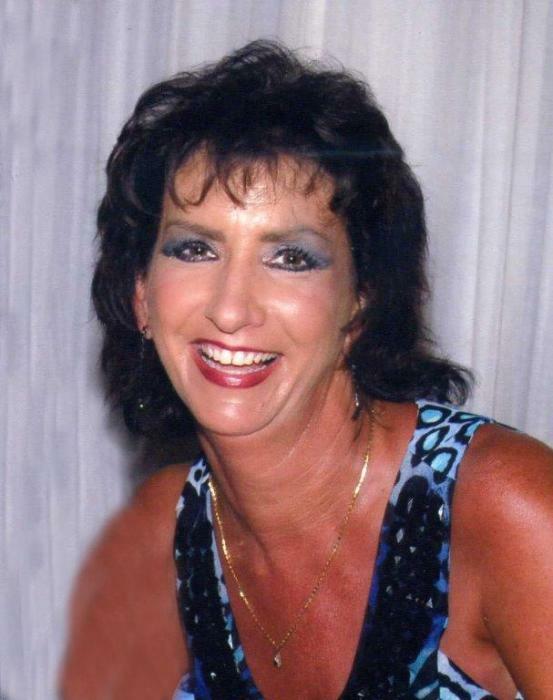 She was a member of many clubs including the Cadiz Country Club, Adena Legion Auxiliary, Pine Valley Sportsman Club and the Fairpoint Polish Club. Surviving Tracy are her loving husband Bill, Bill’s step mother Ina Marks of Scio, Bill’s two kids Amie and Bristin and their families from Strongsville, OH and New York. and one brother Terry Yanczura from Martins Ferry, very special friends the Ray Miller family of New Athens, Bill’s extended family from Jewett Lew and Sue Hauber their kids and families. Friends too many to mention some of which were drivers who made time to take Tracy to Pittsburgh and Wheeling for many, many treatments. Randy Foster of Cadiz, Mike and Michele Sliva of Cadiz, Terry and LouAnn Cornish of Adena, Amy and John Sebring of Adena, Jamie Vota and Rick Richetti of Mt. Pleasant. And also, John “Chicken Water” Stanko for all those trips to Landmark to keep Tracy in bird and deer feed so she could watch them from her bed. And Helen Kirkland who made that long trip from Colorado Springs to be here for Tracy. Also surviving Tracy are her four-legged kids. Her cats Buddy, Bobbi, Booty, Buster, Colby, Cody, Frank, and Little Pepper. Her four dogs Duke, Daisy, Jerico and Sammy. Also, two Donkeys Leroy and Jack. In lieu of flowers please donate to the Harrison County Cancer Crusaders, 226 Charleston St, Cadiz, OH 43907 c/o Julie McPeek a local group for a great cause.